Always be smart in buying a laptop, most of the people are investing their money in products which are not that worthy. Now-a-days everyone has a laptop or atleast a tablet with them. People are showing a lot of interest to buy laptops instead of a desktop PC’s. This can be now observed more in Asian countries and specially in India. The market is very high when it comes to buy a branded laptop. So, today we will guide you on how to get a better laptop within your range and budget. By the end of the article, you will be smart enough to buy a best laptop yourself. We will discuss about the key factors you have to keep in mind while buying a laptop. We have to keep many things in our mind while buying a laptop these days. So before going to shopping, you need to understand some standard features and what exactly is your requirement and necessity to buy a laptop. Its not that good to spend much money on things which are not worthy, its always a better choice to think and proceed. Whenever we walk into any store to buy a laptop, the first thing we ask is the cost of the laptop. You can able to see a lot of available models which often confuse you the most. Many people will have particular kind of taste which make their job very easy to buy a laptop. But what about people who are unable to select from a wide range of models, here the key factor we have to keep in mind is our “requirement”. This is very crucial in buying a laptop in these days. Your laptop must not be only good looking and attractive. But it should also have proper performance and reliability. Don’t worry, this article will guide you to buy a better laptop with all latest upgrades. The first and foremost thing you have to check out in a laptop is its design. 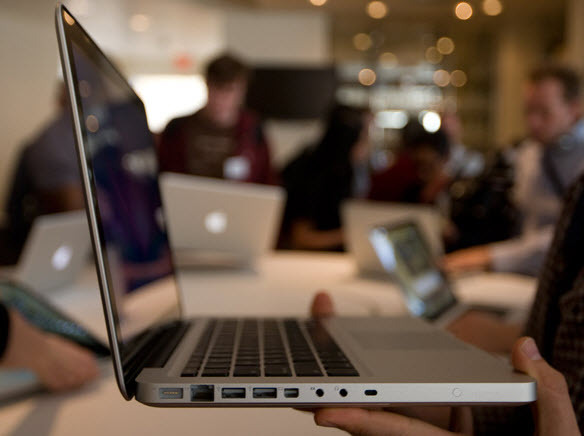 Most of the laptops use plastic in their designs, which is less expensive. We find few designs in laptops like HP, Toshiba and Acer which has complete plastic in their laptop models. These companies use IMD (In-Mold Decoration) technique to design their laptops where the patterns are infused in between the plastic layers. You can feel the patters in the plastic body of laptops by running your fingers on them. If you feel plastic is used in cheap laptops which most companies do, then you can shift to metal body laptops. There are a lot of companies which wont prefer plastic in their products. Some of them are Apple MacBook Pro 13″ Thunderbolt laptop, Dell XPS 15z, HP Envy 14 Sandy Bridge and etc.These luxurious laptops are very fashionable and thinner compared to plastic. Normal laptop companies would never try to compete with these kind of laptops since they are very expensive to produce. You can also observe magnesium alloy body laptops in most of the business laptops. These laptops have very strong durability. Also we can view carbon fiber body laptops in Sony products. Recent one which i saw was Sony VAIO VPC – Z214GX laptop. You wont find these kind of laptops anywhere in market apart from Sony VAIO Series. If budget is not your problem, then try to go for a brand which offers anything other than plastic. You will love your laptop when you work good looking laptops but remember that budget is always important when we are buying something. There are a lot of laptops under budget and still having amazing performance like top quality laptops. The second thing you have to keep in mind is the laptop screen size and weight. The words weight and screen size are related to each other when it comes to laptops. A laptop should be compact and should be easy to carry. When ever you want to travel somewhere, your laptop shouldn’t be one among the luggage which you keep in your car. It should be easy to carry and i personally prefer a 14″ widescreen laptop. This screen size laptops are very comfortable when it comes to traveling. Since we all use laptops to communicate with people in different locations, i would prefer a small screen laptop with a compact design. We have few wonderful laptops in 15″ size like the MacBook Pro Thunderbolt which are a exception. 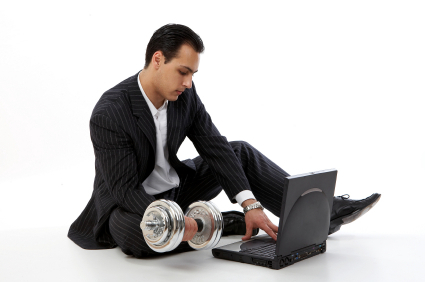 If you are selecting 13″-14″ laptops, you can be productive without sacrificing the portability. There are few awesome laptops like Toshiba Portege R835-P50X and Sony VAIO-SA2FGX/BI which are best example of 13″ laptops. If you are willing to get a laptop more than 14″ size, then you are contended to lose room for yourself where ever you go. Few people even prefer 16″-18″ screen size laptops which are very useful for media centers, gaming rigs, desktop replacements and etc but not while traveling somewhere. The more the size of a laptop, the lesser chances of portability. Usually the 14″ laptops are lighter in weight and very easy to carry. The third thing you should always focus on buying a laptop is to know the technology in it. Most of the people fail to do this while buying their laptops. We usually find a lot of features in a cheaper laptop which you would never find in a expensive one. You may get 3 to 4 USB ports with 3.0 USB speed. The data speed and transfer rate of 3.0 USB is pretty fast when compared to USB 2.0. Look for laptops which has advance features with minimum of core i5 even if it has 1 USB port with 3.0. Because now a days, the applications which we use require a lot of RAM and processor speed. So we require a good processor than a 3-4 USB ports. The second generation laptops are selling like hot cakes in market now. Recently we posted a article on Best Core i5 Second generation laptops which got a good response. You should be aware of hardware requirements of the laptop before you buy it. The important thing you have to note down in an laptop before you buy is to know it hardware configuration. Like, you have to note down the basic things which you require. Like number of USB ports, Size of RAM, Type of processor, Screen size, Clock speed and Variant, Size of hard-disk, Motherboard and etc. May be you can increase your RAM speed at any point of requirement in future. But you cannot upgrade your processor, motherboard and hard-disk like RAM. so think wisely before you select the hardware for your laptop. Its always better to take more what you require sometimes. Most of the people confuse between Mobile Broadband 3G and Wi-Fi connectivity. They both are completely different and have their way of functioning. Most of the laptops will not have Wi-Fi in them. which is not a good sign of a modern laptop. Try to find a laptop which has Wi-Fi connectivity in it and also Bluetooth. Apart from these things, many people will also consider the HDMI ports in their laptops. Most of the laptops today are supporting the Full HD (1080p) resolution screens. These laptops will have amazing clarity and depth. I would personally suggest you to invest your money in a Full HD screen laptops, because its worth buying them. And finally you have to also take care of the Optical drive, Webcam, and battery backup before buying the laptop. A better battery for any laptop can be your savior in traveling places. A good battery is like your ally on a travel hectic day when you have important work to do. Most of the people have preferred buying a multiple battery laptop when compared to normal ones. Laptops like Apple wont have non removable batteries, but they are bigger than the average ones and give good battery back up. Most of the laptops use the 6 cell batteries which gives a minimum of 4-5 hours of backup. 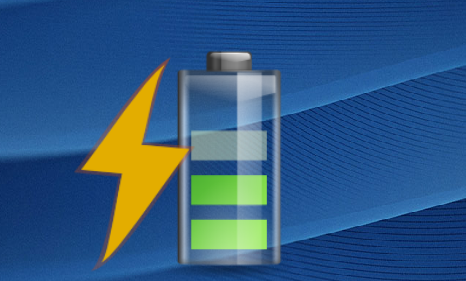 You can also find some ultra portables in market for business laptops which give a 10 hour battery backup. I would suggest you to carry a additional battery with you when you are traveling, especially if you spend more time on road then office or home. Always check the battery’s capacity which is measured in Watt-hours. A big battery would definitely weight more, but its better to carry one with you when you are out most of the times. There are a lot of traveling batteries on market now. 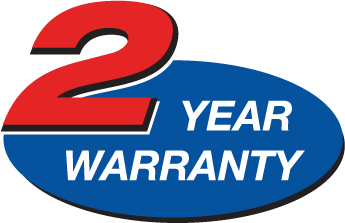 Almost every laptop is backed with minimum of one year warranty. In this one year, the laptop will get a free service from the company which you buy the laptop from. After one year, even though they give service for your laptop, they will charge you for sure. Companies like Asus and Costco sell their laptops with standard two years warranties. But the standard warranty is a limited one where there will be no warranty on burn or physical damage. Apple offers 3year warranty on their laptops. And most of the windows based laptop manufactures will offer up to 4years. You have to always keep in mind that once the service charge is increased by 20% of the actual price of laptop its in serious trouble. Better you change it as soon as possible. Mostly you may be doing this only after 3 or 4years after you bring your laptop. If you keep these five key points in mind, then you got the best laptop you ever had. Remember to memorize these five key features, they are must for anyone who is willing to spend their valuable money on something which is unique and lasting long. I hope you have liked our article on be smart in buying a laptop. I would like to suggest DELL Laptop N Series. N5050 & N5010 are the best models with good performance. Dell giving 1 year Full Replacement Warranty. Even Battery Backup is fine.These Series Comes with i3 Processor Mostly with 3-4 GB RAM. IT Costs around 28-32 K. If u Need Graphic Card then it would be around 32 k. i would like to suggest i3-4GB RAM-1 GB Graphic Card . Never go with i5, Rather going for i5 go for i3 or i7. And also don’t buy laptop when you are abroad. Warranties for these gadgets are usually applicable to the place where you bought your laptop. And also if I were to buy another laptop, I would choose the one which has a larger operating temperature. Laptops, increasingly, are decreasing in price. But a cheap laptop isn’t necessarily a good laptop. Ensure that the laptop you buy meets your computing needs by carefully considering these 10 factors before making a purchase.